Welcome to the 1st Dolly, Sweets and Treats for 2019. It’s a new year for Harmia to try new tasty treats. I’ve learned a lot about Harmia thanks to the introduction of sweets into her life. I wonder what new things I’ll learn about her and myself this year. To jumpstart, the Dolly, Sweets and Treats, Harmia will try the Fudge Brownie from Great American Cookies. I decided to go with this delicious brownie because it’s been ages since I’ve had one. And as usual . . . she ate the whole thing. 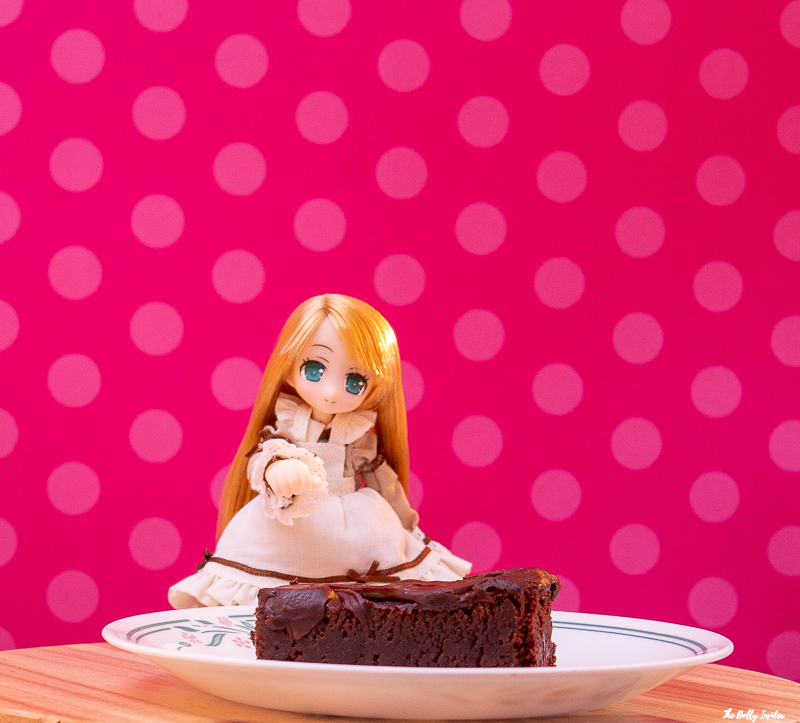 Have you & your doll had the pleasure of eating a rich & tasty fudge dessert? If so, we’d love to hear about it & what you like most about it? If desserts made with fudge aren't your thing, what’s your favorite delicious treat & why? Harmia and I are always on the lookout for new scrumptious treats. Share your favorites in the comment section below. 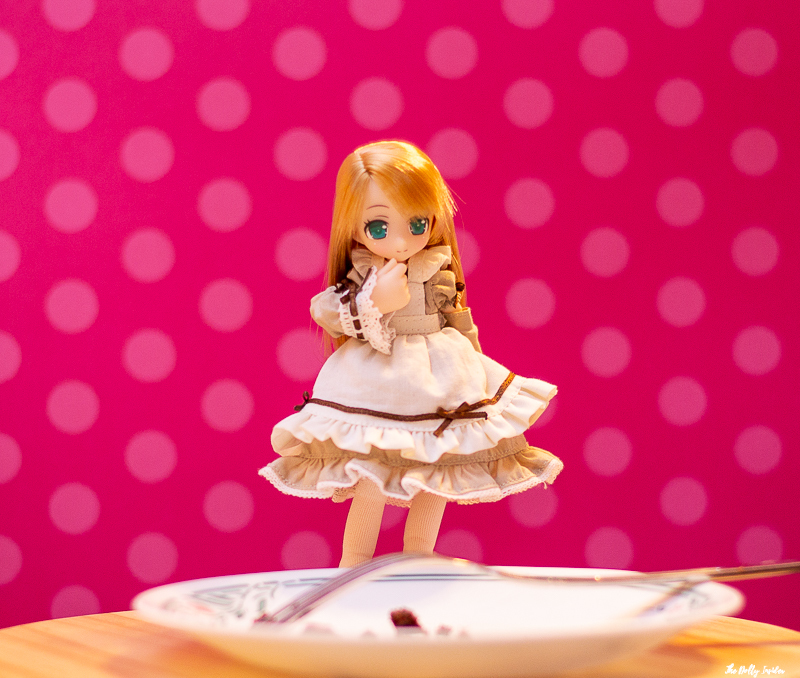 If you have an image of your doll enjoying a rich & tasty fudge dessert or any yummy treat we’d love to see it. 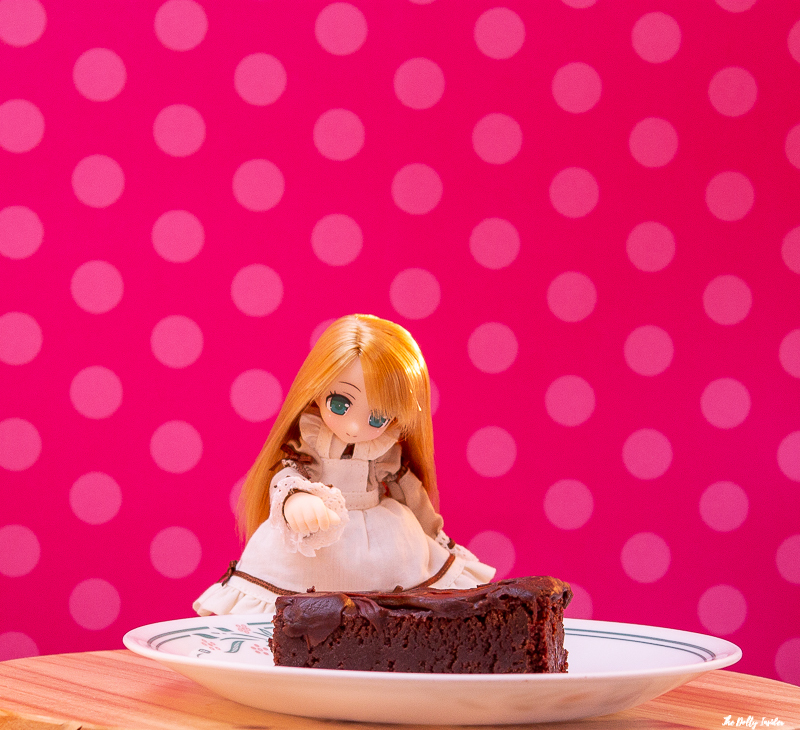 Share your Dolly, Sweets and Treats image here & we'll feature it in our next segment! That was one of my concerns once she got her first taste for sweets. But we made an agreement this year, though. I won’t cut the sweets out of her life as long she agrees to eat one tasty sweet a month instead of whining for a new one everyday. She’s didn’t want to agree to it at first but I remain firm in my decision. It was either she agree to it or no sweets at all (it was so tough not to cave into her demands. That cute face is too hard to say no to). I think for her waistline and mines this is a good arrangement. We’ll see how she does over the next few months. 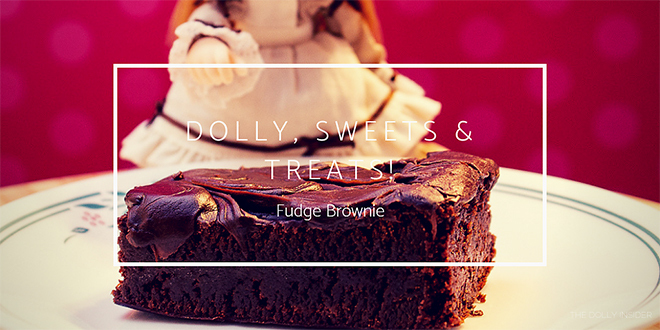 Thank you for taking the time to chat with me about Dolly, Sweets and Treats. Oh Harmia, she is too greedy! Oh, you’re making a cake. That sounds deliciously fun. I’ve been thinking about baking my own sweets more and more. I hope I can gain enough courage to give it a try this month. I haven’t told Harmia yet (I don’t want her to set her expectations too high) but it is something I really what to try in 2019. Thank you for taking the time to chat with me about sweets. It was fun. P.S. I hope your cake turned out great!